No more shore fishing ....treat your self ! 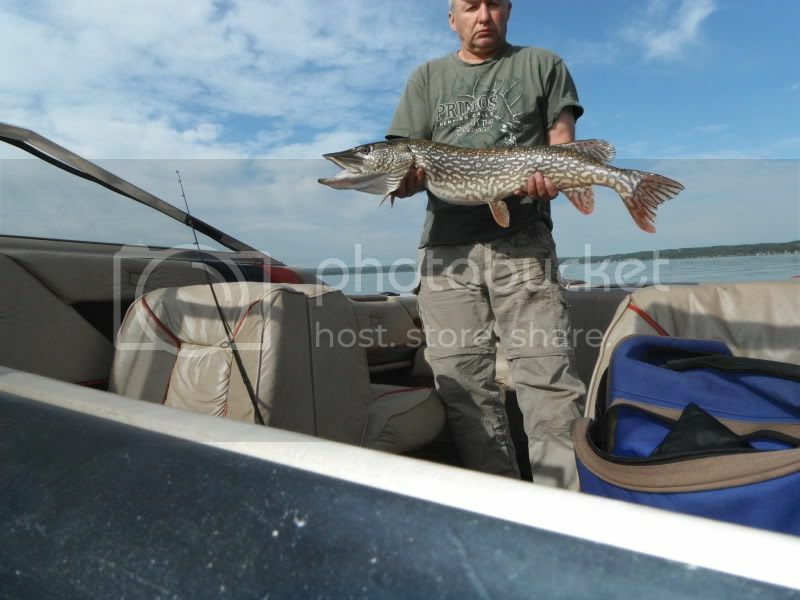 Anyone whats to hit Wabamun and look for some large pike ! Prices are the lowest in Alberta ,Two guys for $200. just covers exspences. Re: No more shore fishing ....treat your self ! Having a July long weekend speical... will take out 3 fishermen for the price of 2. Can't wait till next weekend to go out again. Best thing that ever happened making lakes around Edmonton catch and release. Thanks! .....went out fishing by myself july 2 , very early in the morning first cast got a 18 lb pike ,minutes later bigger one gave me more of a fight and got away. Next day took out a custmor ,just not as early early in the morning , and first cast got him a 12 lb pike and as the day went on the fish got smaller.